As many of my blog followers would know, on the 6th of December we lost a tiny Love Bug of our own... a little girl called Lilly-Anne Joy. Her due date was set for a few days time on the 1st of May. At around the same time a wonderful organisation called "Angel Nappies" kicked off on Facebook. It is run by some very caring and beautiful mums who gather newborn, prem and doll nappies to distribute to organisations such as SANDS Australia. These nappies have a set destination and purpose... to clothe babies who have passed away before or soon after birth. This is where we, as a Modern Cloth Nappy company, want to step in and help. It is something we can actually do! We have a newborn-premmie nappy that we havn't released commercially because we were able to develop the Mach 2 nappy which caters for most 3kg+ babies. But given that the babies in this situation are normally smaller than this, we are able to release this nappy design for use by SANDS Australia and other groups to offer for FREE to grieving parents. 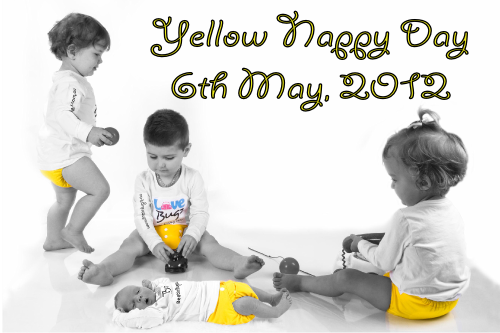 To help us fund this, and because we want the public to be more aware of infant loss in our community, we are starting Yellow Nappy Day. This coincides with "Bereaved Mother's Day" which you can read more about HERE. We chose the 6th of May because it was so close to our Baby's due date but also because it allows enough time for people to hear about what we are trying to do and to join in. The proceeds from the sale of any Yellow Nappy in our Plainz collection will be matched by us to create 5 Angel nappies for donation. Photos of the nappies themselves will be up in coming days. In the mean time you can start purchasing yellow nappies HERE or you can simply purchase a nappy but put the words DONATION in the delivery instructions section to let us know that you want to have 10 Angel nappies donated to the cause instead.